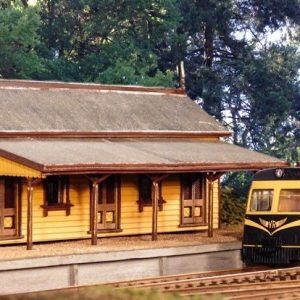 Building dimensions 175mm long x 46mm wide, (76mm including the awning) x 85mm tall including the stumps. 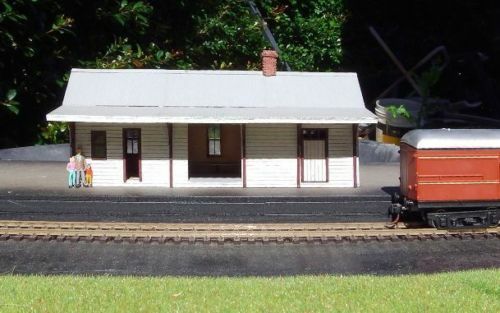 A neat reproduction of this New South Wales Goods Rail A-3 Rural TRAIN STATION, with the open waiting area and lockable ticket office and freight room. 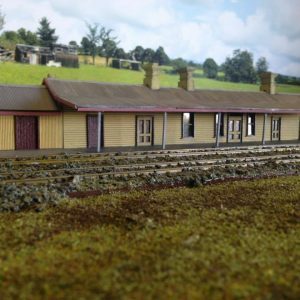 Lots of great detail with weatherboard clad walls, doors, windows and a brick chimney. 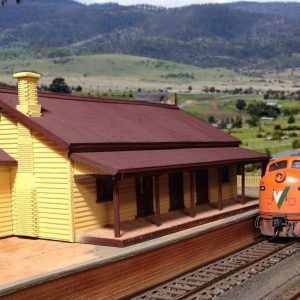 PLEASE NOTE THAT THESE ITEMS ARE SCALE MODELS NOT TOYS SO ARE NOT SUITABLE FOR CHILDREN UNDER THE AGE OF 14 YEARS OLD. 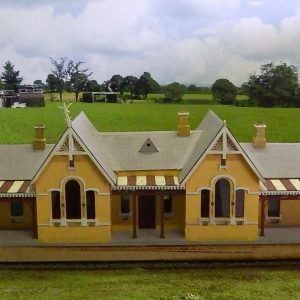 NSWGR Culcairn Station Ho scale building.